In response to industry demand and our customer’s needs, Rayotek has created a separate grinding facility dedicated to massive grinding operations. Our 5-Axis Grinding System was built after a 3-year engineering project to design the ultimate system for precision grinding and polishing large workpieces. 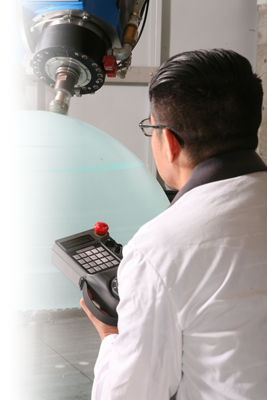 Rayotek’s customized 5-Axis Grinder produces diamond-ground glass, borosilicate, fused quartz, alumina and glass-ceramic materials to virtually any shape. Rayotek’s massive 5-Axis Grinder turns dreams into reality. Rapid production times along with high precision completely eliminates the need for slower, more traditional grinding methods. In addition, Rayotek’s massive 5-Axis Grinding System can generate shapes and sizes not achievable with other systems. In-situ touch probe for establishing and adjusting toolpath. 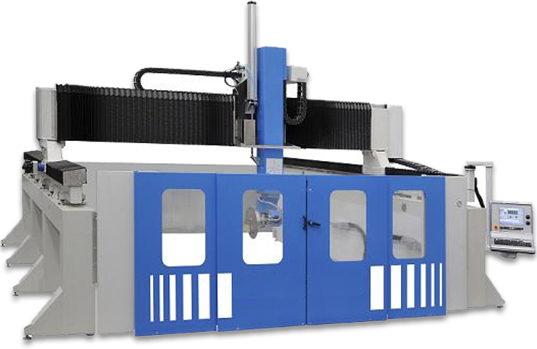 CLICK HERE for more information on Rayotek's large workpiece manufacturing capabilities.